Help CentreUsing SuperControl Managing bookingsHow do I access the payment reminders page? 1. Go to Bookings > Payments reminders. 2. 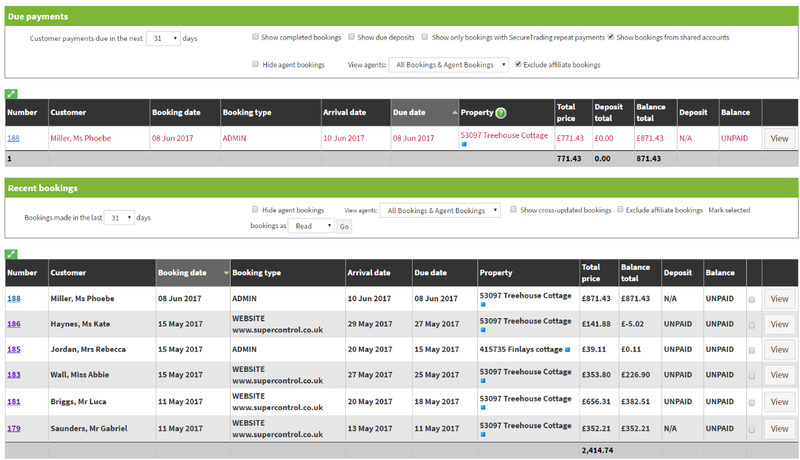 In this page you can see “Due payments” and “Recent bookings”. Here, you an easily keep track of bookings with upcoming due payments. Prev: How do I add rental notes to the booking process? Next: How can I block dates or close a property?